No Christmas meal is complete without a cheese board. We asked the folks at Scotland's most established cheesemonger, IJ Mellis, what they’ll be having with crackers and port this festive season. This is a classic Scottish Cheddar with a good, sharp bite and sweet mellow finish. Year round we stock large truckles, but at Christmas we bring in two different sized mini truckles, which make ideal gifts or centre pieces for after a Christmas dinner. A mainstay for Christmas. Whether enjoyed soaked in port or just as it is, Stilton is an essential part of a British Christmas and Colston Bassett is one of the best – at once crumbly and creamy with just the right level of tang. 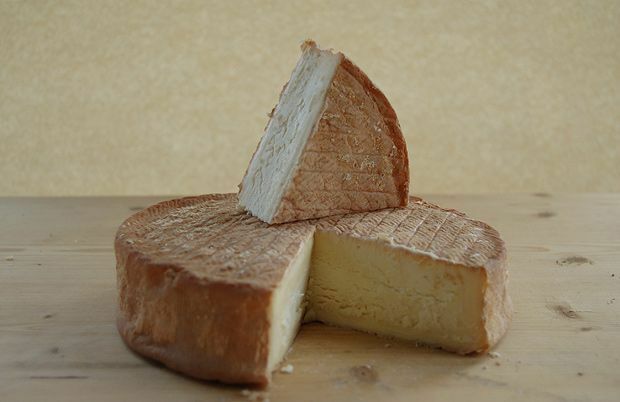 This brie comes from the Moray coast and is a lighter, gentler cheese than its French cousin. This means it can be enjoyed by all the family and will sit happily next to more delicate flavours without stinking out the house! A lovely little goats’ cheese washed in cider brandy and wrapped in a vine leaf, with a slightly more pungent aroma than many goats’ cheeses. Delicate on the tongue and so creamy. An unusual soft, cold smoked cheese with flavours reminiscent of smoky bacon. It adds something a bit different to a festive cheeseboard, and really stands out. Lastly, I always recommend Grimbister from Orkney at Christmas time, because I grew up eating Wensleydale with Christmas cake – and this beats that hands down.